My earliest memory of being overweight was in the fifth grade. 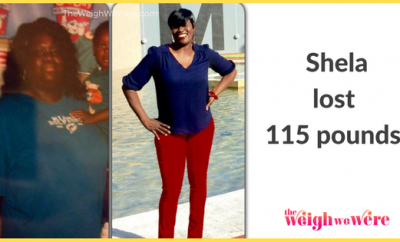 From there, I struggled with my weight fluctuating throughout middle school and high school. I played sports, so during off-seasons, I would notice weight gain. As I got older, even during the sports season, I noticed I still retained weight and never quite went back down to my most fit size. What aspect of my life did my weight not affect? 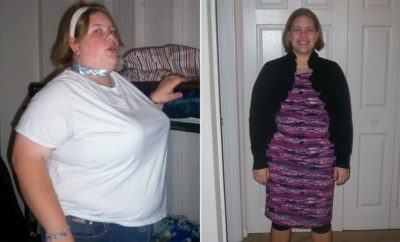 As a pre-teen and teen I was bullied because of my weight. Mostly by boys who made comments like, “you look like a linebacker!” That one always stands out for me. 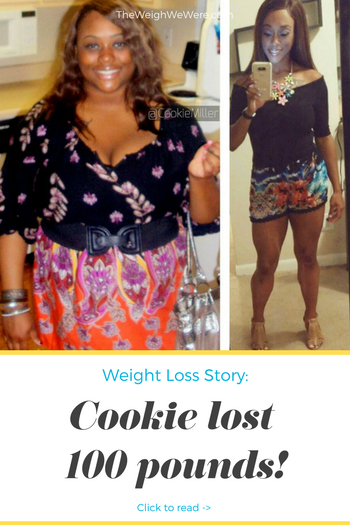 As I became older and went to college, I fell into a deep depression that stemmed from my weight. It felt so out of my control. I stopped going to class, I would take sleep aids and sleep in my dorm room all day instead. I did not want to be seen. I did not want to have to walk all over my huge campus, sweating uncontrollably and out of breath. I was either going to be successful at getting the weight off or I was going to die. If it wasn’t the depression and suicidal thoughts brought on by the weight, then it could have been the pre-diabetes developing. Something was going to kill me if I didn’t get it together. I set a goal to run the Susan G. Komen Race for the Cure in honor of my grandmother who passed away from breast cancer. 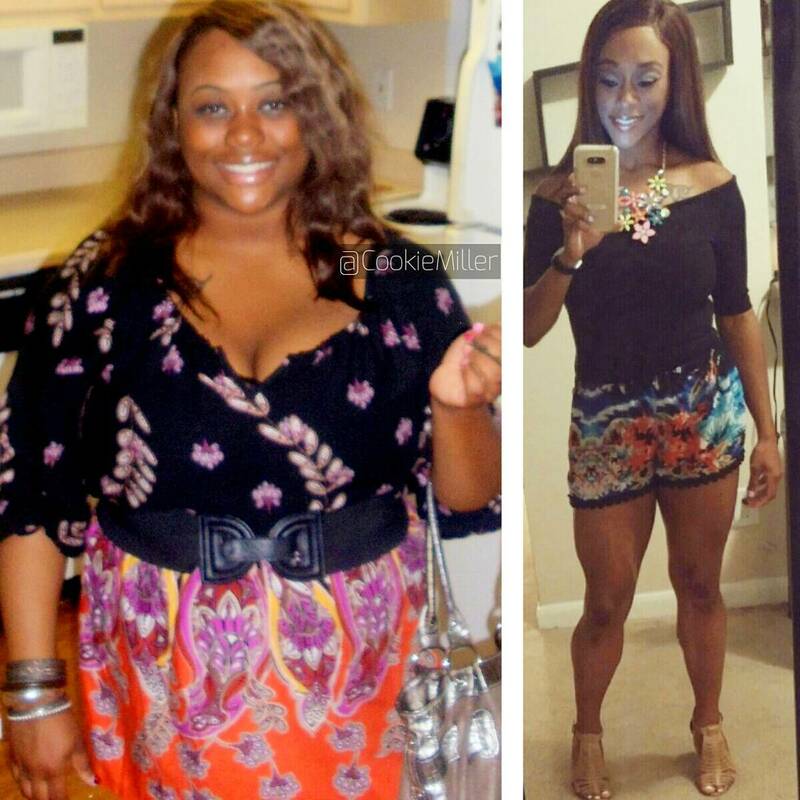 Training for the race is what kicked off my last, ‘start’ of my weight loss journey. 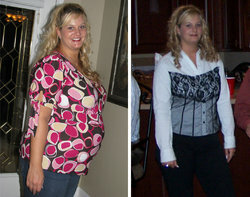 I took a little less than two months to train for the race, during that time I lost 20-30 pounds. I had so many mental blocks. Mostly I had to overcome food addiction. I still struggle with it to this day. I was so used to eating whatever I wanted in very large quantities. I didn’t know much about how to eat healthy and assumed that healthy meant bland and disgusting. So that’s what I would eat and it usually left me wanting to revert back to my old habits. At one point, I wanted to give up every, single day. But I prayed! And I went to church. I was there Sunday’s and Wednesday’s. Not just for “weight loss”, but I needed to heal my mind and my heart. Your mind controls everything. Knowing and finally believing that I can do all things through Christ is what kept me going. 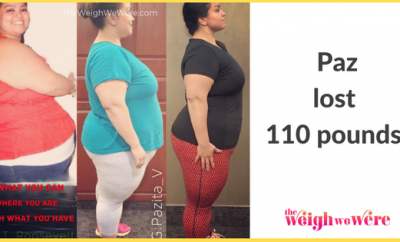 It took one year to lose 70 pounds. I’ve since stopped weighing myself, focusing more on decreasing my body fat percentage and becoming more lean. I am sure I am closer to 100 pounds lost at this point. Absolutely! I was working an office job during the first year of my journey. All of my work slacks got so big that I remember them nearly falling off on the elevator one day. I’m not sure I would have even been embarrassed. I was so glad that I was making progress, I probably would’ve been happy to show it off to everyone on the elevator! When I was heavier, I ate fast food nearly everyday. I was also a college student so I had access to basically unlimited snacks, food on-demand in the many cafeterias and restaurants on camps, etc. These days I get on little kicks where I can eat the same thing over and over all week. Lately it’s been an egg white scramble with salsa and low fat cheese + oatmeal or grits for breakfast, a turkey sandwich for lunch, and my healthy version of Kung Pao chicken for dinner with ‘no sugar added’ ice cream for dessert. Every, single weekday for like the past month. LOL! I am much more active these days. I mentioned earlier how I would sleep in my dorm room all day and dread walking campus. Even though I’m no longer in school, sometimes I visit campus just to walk around…for fun. I also park my car in the very last spot in parking lots and walk to the store or wherever I’m going. The difference is really night and day. Do not wait for Monday or the 1st or the beginning of year. Start right now! EAT! I find that lots of my online clients when they first come to me are not eating enough. Starvation does not work. You need fuel to get through your workouts and to keep your metabolism going. Believe in yourself and don’t worry if no one else does. Do not wait for someone to do it with you. I don’t believe in workout partners. All it takes is for that person to miss one day and then you’re all thrown off. Be your own workout partner. If you want an accountability partner, find someone who is already fit or has already reached a goal, not someone in the same shoes as you.